class="single single-post postid-402 single-format-standard wpb-js-composer js-comp-ver-3.6.12 vc_responsive"
The opening of our first-ever restaurant – Dinesty Richmond No.3 Rd – brought along the introduction of our signature Xiaolongbao (steamed pork soup dumpling), a traditional Shanghai-style soup-filled dumpling that is a miracle of culinary construction – seemingly delicate, semi-transparent dumpling skin is neatly wrapped around an aromatic filling of pork and a mouthful of hot savory broth. Today, Xiaolongbao has become one of the most renowned Chinese delicacies around the world. At Dinesty, we use only the freshest ingredients, top craftsmanship and the highest standard to create each and every single piece of our Xiaolongbao. Our soup dumpling features mouthwatering natural chicken broth, delicate double-ground pork filling and an ultra-thin hand-kneaded wrapper, delivering a unique mouth feel and outstanding taste. 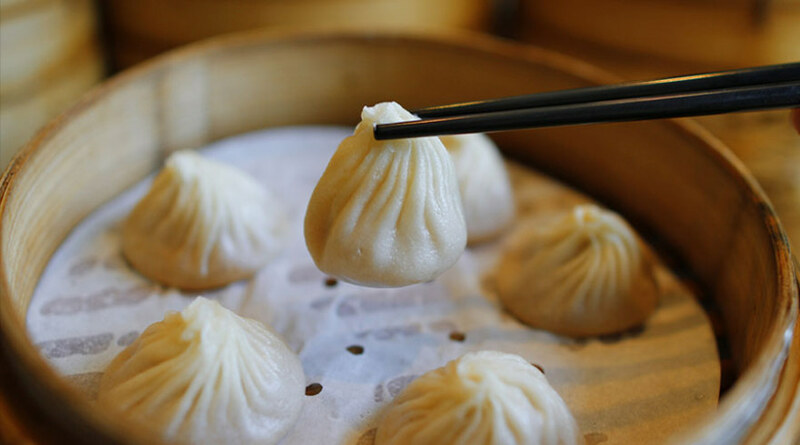 (In 2012, Dinesty won the “Best Xiao Long Bao” award in the prestigious Chinese Restaurant Awards (CRA) competition in Vancouver.) To enhance customer enjoyment of these tasty soup dumplings, Dinesty proudly displays the whole handcraft production of Xiaolongbao through its open kitchen window.